HERMIT - Welcome to the mountain summit and my hermitage, my son. Are you here to discover the true meaning of life? 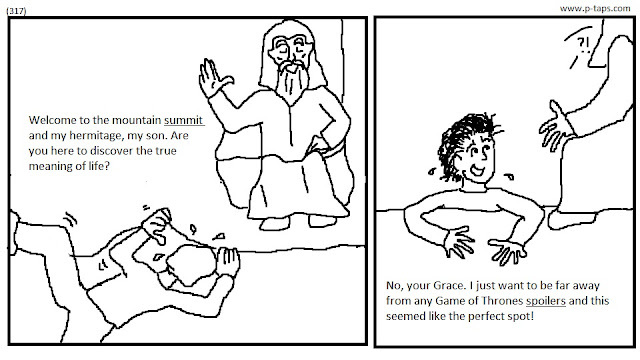 FAN - No, your Grace. I just want to be far away from any Game of Thrones spoilers and this seemed like the perfect spot! What an accurate description of my previous week! I was unable to see this Sunday's episode until Wednesday and had to spend two and a half days dodging spoilers! I don't even try... I simply succumb to the trap that is Twitter! Boostspeed 8 KeyI should say thank you very much for this thought. It gives me more knowledge on this issue.